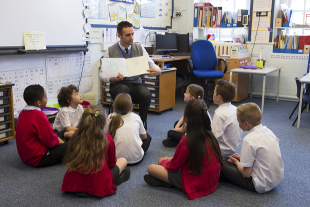 Today’s Education in the media blog looks at plans to do more to make sure children who are taught at home get the best education possible and research that shows the benefits of teaching Mandarin in schools. Yesterday, Tuesday 10 April, the Department announced a call for evidence to help consider whether the current arrangements for home education are adequate to fulfil the government’s aspiration that all children in England should receive the best possible education. This will give parents, teachers, young people and local authorities the chance to help shape future policy. Among the things we want to hear about are how local authorities monitor the standards of home education, how effective registration schemes are and how we can better support those families who educate children at home. One of the things the Department has asked for is comments on the idea that schools should face a financial consequence if parents remove their children from a school. This would be in order to stop schools from pressuring parents to educate children at home. Rather than a fine, this could be done through the withdrawal of funding for that pupil, in much the same way as happens with permanent exclusions. The Times, the Telegraph, the Independent, the Sun, the Daily Mail , BBC Online, Schools Week, TES have reported on the call for evidence, largely focusing on the possibility of the creation of a register for home-educated children. “Across the country there are thousands of dedicated parents who are doing an excellent job of educating their children at home, and many selfless volunteers working for clubs and organisations that help to enrich children’s education outside of school. Today, Wednesday 11 April, the British Council and UCL Institute of Education published research they have carried out with business leaders that illustrates the benefits of learning Mandarin in schools. The research has found that 77 per cent of business leaders polled have said that speaking Mandarin to near fluency will give students advantages in their future careers. The Daily Mirror has reported the comments by business leaders. The research backs the government funded Mandarin Excellence Programme that is encouraging more school pupils to become fluent in Mandarin. The scheme aim to have 5000 pupils fluent by 2020. “Education standards are rising, with 1.9 million more children in good or outstanding schools than in 2010 but we must do more to ensure our education system is fit for the future demands of a modern economy. “This research shows that young people fluent in Mandarin will be at a significant advantage when competing for jobs with their peers from around the world. That is why we introduced the Mandarin Excellence Programme, which is on track to have 5,000 pupils fluent in Mandarin by 2020. Find out more about the Mandarin Excellence Programme through the British Council.